StrawBerry Ridge is a 55+ community near St. Petersburg, Florida, that has an excellent selection of mobile homes for sale – many of them recently updated! Our 150-acre residential development is a retiree’s paradise where it is possible to lead a carefree Florida lifestyle in a highly affordable environment. We have 1-, 2-, and 3-bedroom homes available, all located within the friendly confines of a gated community populated largely by retirees who want to stay active, have fun, and stretch their retirement savings to the fullest. In truth, StrawBerry Ridge isn’t just a place to live … it’s a lifestyle. We aim to help adults 55 and older achieve their lifestyle goals through the provision of excellent amenities, a wealth of structured activities, and affordably priced one-story homes in a variety of floor plans. Thanks to our close proximity to the city of St. Petersburg, FL, residents of StrawBerry Ridge needn’t travel very far to attend a Rays baseball game, visit the Dalí Museum, or take in a play at the Mahaffey Theater. Indeed, we are within close driving distance of all the great things that the Tampa–St. Petersburg–Clearwater has to offer, including fun theme parks, world-class performing arts venues, inshore and offshore fishing, and of course mile upon mile of white-sand beaches. We challenge you to identify of a 55+ community in Florida with a better location than ours. 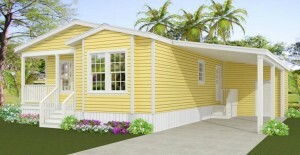 For a current listing of our mobile homes for sale near St. Petersburg, FL, click here or contact one of our Lifestyle Consultants today.